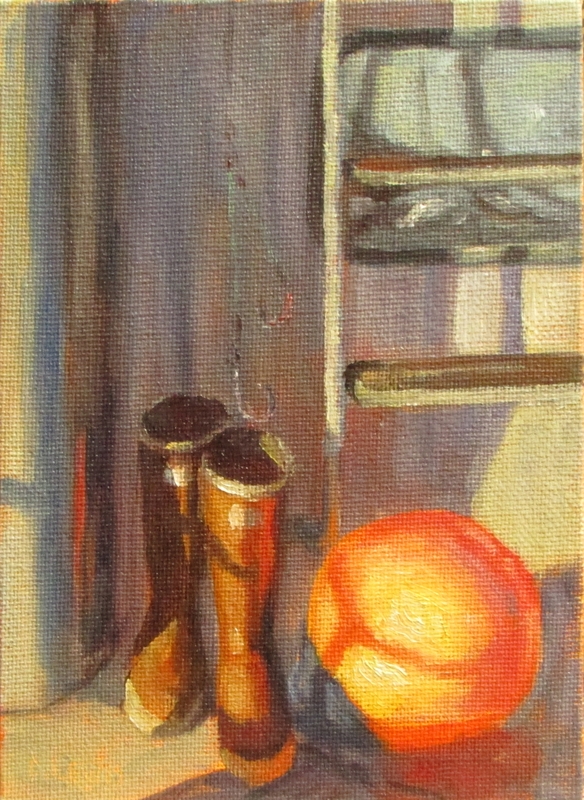 This is a 5×7 oil painting. I took the photo used for this on the back of our boat. It was early morning and the sunlight was extremely low and intense. In this study I was trying to work on creating the intense glow of the bright orange buoy. It fascinated me to see how much it cast its brightness onto the surrounding items. I did a workshop last year where we were challenged to do the same thing. My results on that painting were not quite as successful as this one. I definitely learned a few things from that workshop. This is just another example of how it can be very helpful to do the same picture more than once, or at least something very similar.